Cape Town winters are notorious for being wet, windy and rather miserable at times. With all the rain and moisture going around during those cold months, it’s no wonder that our homes and businesses require waterproofing from time to time. Although waterproofing might seem redundant on those beautiful Cape Town summer days, it doesn’t take much to regret not spending the money on fixing that nasty leak as the winter rolls in. 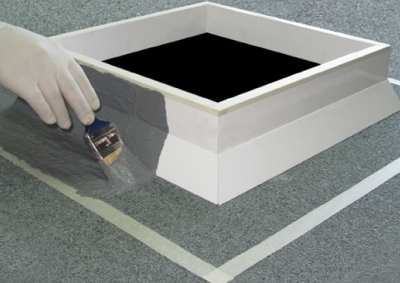 Waterproofing takes on many shapes – waterproofing ranges from fixing gutters to damp proofing. Cape Town’s torrential downpours provide good reason to invest in proper waterproofing before the cold months pour in. Waterproofing is done for several reasons – the most obvious one is the need for waterproofing when it rains. Possibly, though, you might have overlooked the need for waterproofing when considering renovations or additions to your home. When renovating or adding to your home, a vital first step is to take care of waterproofing. If you neglect this all-important waterproofing-phase, your brand new bedroom could soon look (and smell) like nothing more than a glorified gutter. Speaking of gutters, waterproofing is also a handy tool when it comes to those magical pipes that are meant to lead water away from your home. If these gutters become clogged or rusty, they can’t do their job and you’re left with a mouldy, damp home. 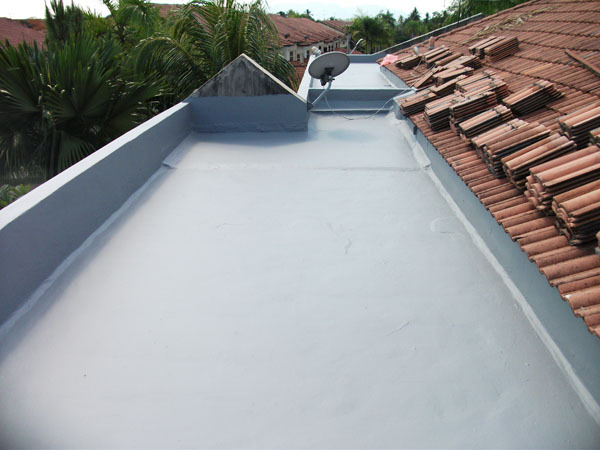 Waterproofing also includes the repair of any roof tiles or cracks that may have developed on your roof. These structural issues could lead to leakage, cracks in your ceilings, electrical issues and the omnipotent danger of mould. Just when you think you’ve taken care of waterproofing, another leak or wet spot develops. The reason for this is usually far more obvious than we realise. At any point where two pieces of roof join together – known as a parapet – there is a likelihood that water will seep through. Waterproofing offers the solution to this problem. Additionally, something as useful as a skylight in your dark kitchen could pose a problem – yet another thing that waterproofing can solve. Maybe you’ve noticed slight sagging of a roof or ceiling in your home – guess what? Waterproof it. Weather and time takes its toll on the roofs of our homes. As a result, you might have damaged roof tiles or cracks in the cement on your roof. All of these issues can be resolved relatively simply through waterproofing. Most Cape Town homes are equipped with either a fireplace or a braai – or, if you’re lucky – both. In many cases, the chimneys for these magical inventions pose a threat to an otherwise waterproofed home. The spot where the chimney connects to the roof is an easy target for water to seep into the deep structure of your home. Waterproofing these areas is vital to ensuring you and your family are warm and dry all-year round. Imagine, for a moment, that you’re busy renovating your entire home. All of the money and effort that goes into this major project might go to waste if you don’t take care of the structural soundness of your home. Waterproofing your home is the essential component of any renovation or addition to your home. Waterproofing also saves you the time and effort of having to undergo costly and disruptive repairs at a later stage. It really doesn’t matter which part of your building needs waterproofing – whether it’s the balcony, the walls, the basement, the bathroom, the roof or the deck – there are products and skilled waterproofing experts out there to help you out. Waterproofing is also a relatively undisruptive procedure – surely less disruptive than having to condemn your home – since most of the work is done outside of your actual living space. Odds are, you don’t need any of this information – you’ve probably already noticed the effects of a lack of waterproofing on your home. Mould, which could aggravate allergies and cause other health problems – is probably already making you run for the hills. You probably have dedicated rain-buckets lined up at the known leaking-spots in your home – ready for the all-too familiar drill of winter. Your paint is probably already peeling and bubbling, leaving you scratching your head over the possible cause. Rest assured, since each of these worries can be put to rest with the help of waterproofing. Don’t hesitate to waterproof your home sooner rather than later – save yourself from future expenses and dangers.